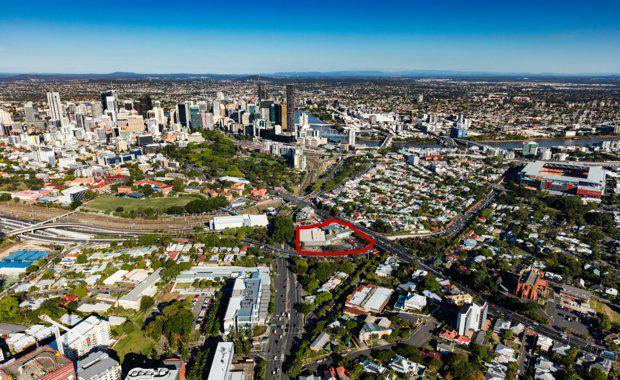 One of Brisbane's largest near-CBD sites - Red Hill's former Sunny Queen Eggs site - is on the market marking the first time in nearly two decades since the site changed hands. Developed in the 1960s for the Queensland Egg Board, the site on Musgrave Road was the central distribution facility in South East Queensland for all major shopping and grocery stores under the Sunny Queen Eggs banner. Following relocation of the business, the property lay dormant until Halfbrick Studios - the developer of iPhone game Fruit Ninja which has been downloaded more than one billion times since its 2010 launch - sliced its way into Brisbane after signing a five-year lease last year for part of the space. Fruit Ninja's current XBOX offering, Kinect 2[/caption]The open plan office underwent a $5.5 million refurbishment and retrofit after Sunny Queen Eggs vacated the building. The video game developer, which made hundreds of millions of dollars after creating the game in which players chop up flying fruit, are understood to be paying $450,000 annually for the lease. Today, this sizable land holding of approximately 10,500 sqm represents one the of the largest near CBD sites being only 1.2 km to the Brisbane CBD – and the last remaining developable landholding of this scale within the inner North Western corridor. JLL’s Elliott O’Shea said the site had considerable redevelopment potential. He said other sites earmarked under the City West Neighbourhood Plan include the Victoria Barracks and the Caxton Street precincts. “Given the genuine rarity of the offering, the property will be competitively sought after by local, interstate and offshore investor and development groups eager to benefit from the exciting development potential and current holding income, given its 100% occupancy by tenants including Half Brick Studios, the developer of gaming app Fruit Ninja,” he said. The sale comes off the back of the recent announcement by international design group AEG Ogden who have proposed to The Queensland State Government the conceptual design of the “Brisbane Live” entertainment precinct to be developed on the Roma Street parklands which would be predominantly privately funded. The Sunny Queen Eggs site lies almost adjacent to this proposed land area, and thus lends to significant possibilities. The campaign being undertaken by JLL’s Christian Sandstrom, Sam Byrne & Elliott O’Shea will commence in the next two weeks.